"Well, Boyd," declares Republic boss Monte Lipman to UMG CFO/EVP Boyd Muir during the label's Class of 2019 party at Coachella, "I'm confident that Ariana's performance here will help take her project to the next level." Replied Muir, "I'm tripping balls on ayahuasca, so all of your words look like giant purple dragonflies." Later, Boyd stared at a glorious sunset until it turned into a glorious spreadsheet. Super-attorney Aaron Rosenberg files a motion for mojitos as Republic EVP Film & TV Dana Sano, SoundCloud Global Head of Music Lisa Ellis and Republic EVP A&R Wendy Goldstein raise no objections. Later, they collectively outlined a joint venture to get more joints. 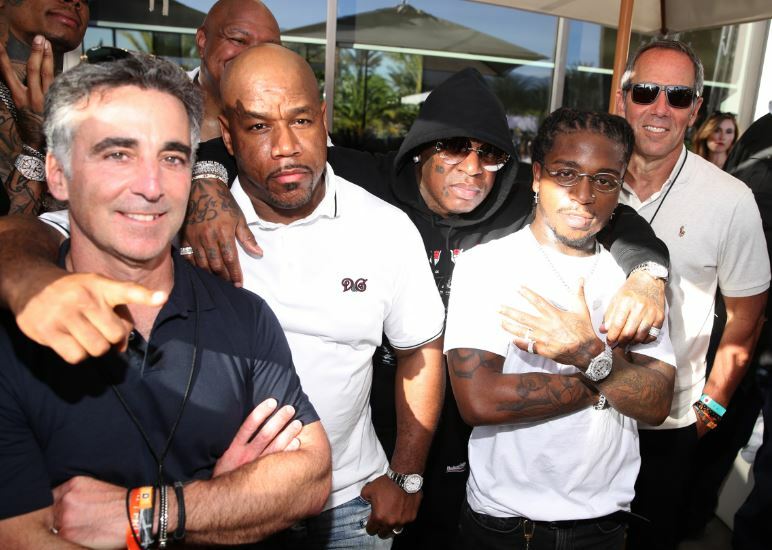 Avery Lipman, Wack 100, Cash Money's Brian "Baby" Williams, rapper Jacquees and Monte pause for a quick photo before jumping in a nearby chopper for an urgent mission: the party had run dangerously low on onion dip. 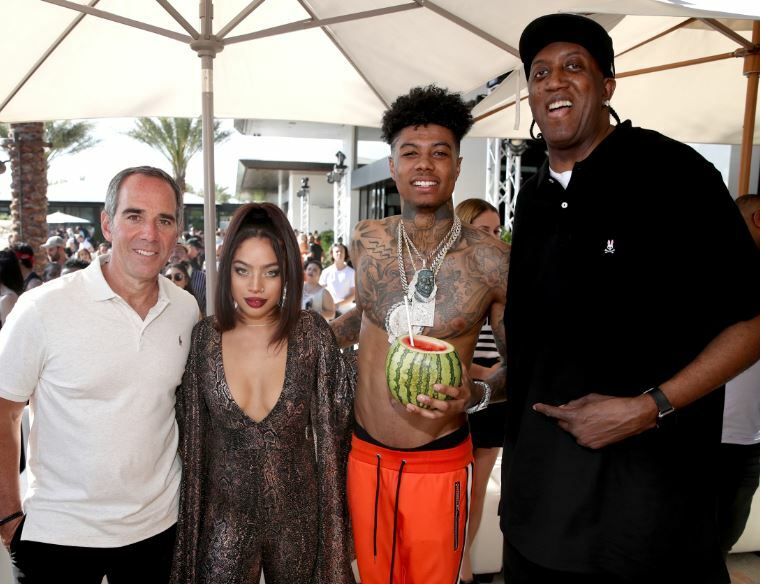 This historic photo captures Cash Money's Slim smiling, shortly before he, Monte and artists Kiana Ledé and Blueface agreed to pose with an Instagram influencer who was living her best life and claimed to be a big fan of Republic, which she said was her favorite brand of cannabis, diet sports drink and/or medical supplement.